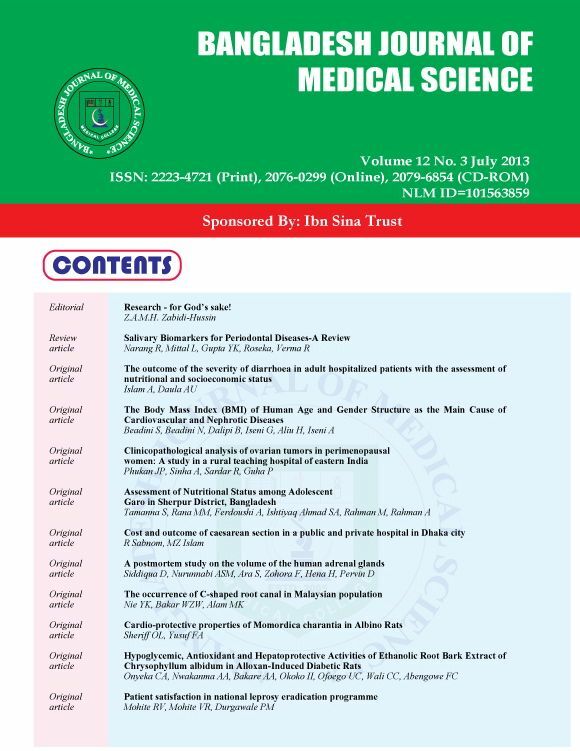 Bangladesh Journal of Medical Science (BJMS) is a professional medical journal intended to provide a multidisciplinary forum for the exchange of ideas and information among professionals concerned with medicine and allied disciplines in Bangladesh and world. We acknowledge that many other disciplines have important contributions to add new knowledge and innovations in improving our physical and mental health. BJMS authority welcomes relevant contributions from them.